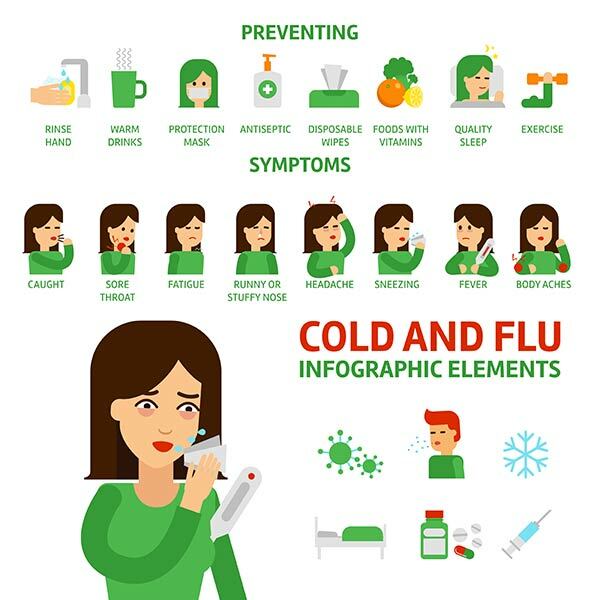 Cold and flu season seems to last longer each year. As the weather cools down, more people end up feeling sick, just in time for the holidays and family parties. Having a cold is miserable, especially as face endless holiday parties and blizzard conditions. Turning to home remedies when you start to feel unwell could reduce the symptoms and shorten the duration of your cold. Everyone you ask will have their cold remedies. The ones you want to try are the old-fashioned, grandma-approved home remedies. These remedies are tried and true over decades of use, and they’re more than the typical stay hydrated, gargle salt water and rest often. During the day, our head is naturally elevated, allowing all the mucus to drain downwards. 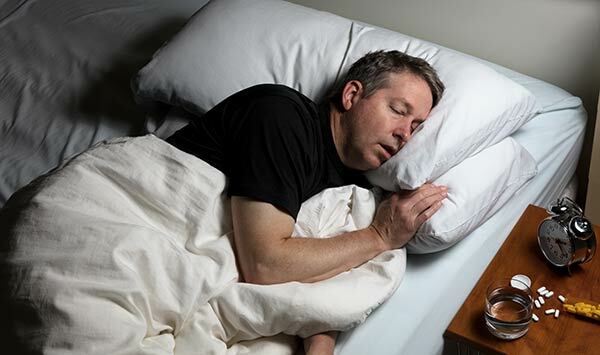 At night, try stacking pillows under your head. Keeping your head elevating during a cold relieves congestion and lets you get a good night’s rest. Garlic has multiple medicinal properties, such as antibacterial and antiviral properties that get rid of cold symptoms. Consuming garlic gives your immune system a boost, opens the respiratory systems, and flushes toxins out of your body. Garlic has the most properties when consumed freshly crushed, chopped or chewed. There are several ways to take garlic for a common cold. Mix one crushed garlic clove, two teaspoons lemon juice, one teaspoon honey, and ½ teaspoon cayenne pepper. Consume until your symptoms decrease. You can boil several chopped garlic cloves in a cup of water. Then, drink it several times a day mixed with honey. 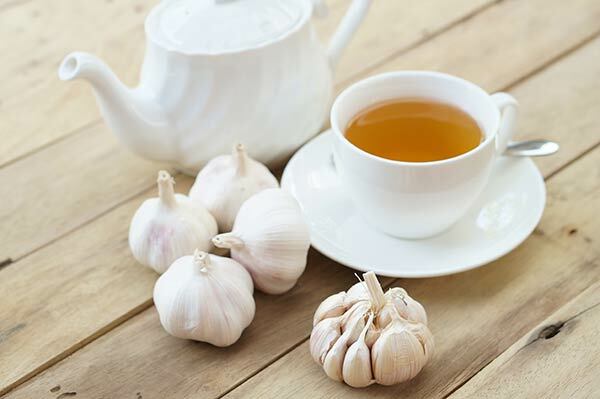 If consuming garlic isn’t your cup o tea, garlic supplements are available at most stores. It makes taking garlic just a bit easier! 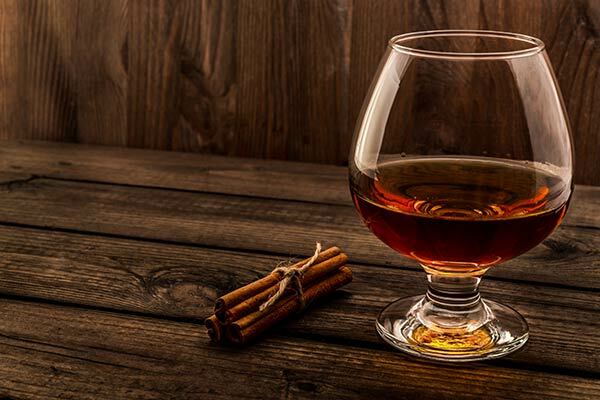 Assuming you are 21 years old and older, drinking brandy can help relieve a common cold. Liquor, of any form, can increase your entire internal body temperature. An increased body temperature warms your chest and reduces a cough. There is no grandma recipe like chicken soup when you’re sick. It isn’t just a myth! Chicken soup is better than water to treat a cold. It provides relief from some of those pesky symptoms by fighting against the white blood cells that carry the infection or virus. Making homemade chicken soup is easy! 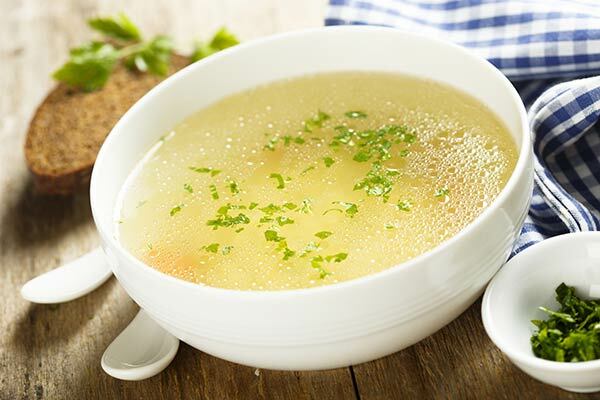 The broth contains essential nutrients and vitamins that treat the symptoms and speed up your healing process. So, the next time someone asks if you want chicken soup while you are sick, make sure you say YES! Everyone knows that honey can soothe your sore throat, but many have no idea raw honey can reduce the length of your cold. Raw honey contains nutrients and enzymes that kill bacteria and viruses! 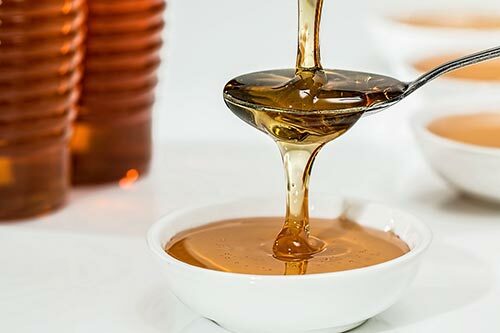 Honey also can decrease mucus and coughs, especially in children. Raw honey or manuka honey are the ideal choices because the nutrients are potent and haven’t been cooked out. One simple remedy is to mix one teaspoon lemon juice with two teaspoons of juice. Take every two hours until your cold goes away. This remedy tastes better than the garlic remedies! There is no need to mix honey with anything for remedies. You can take a teaspoon or two when your throat feels aggravated. Children can take ½ teaspoon of raw honey before bedtime, assuming they aren’t under a year old. If you like strange home remedies, this one is right up your aisle! Black pepper can reduce mucus flow and reduce sneezing. That’s right! You might sneeze several times from sprinkling black pepper on your food, but black pepper water reduces sneezing. Black pepper surprisingly has several health benefits. It contains antioxidants and has antimicrobial and gastroprotective effects. 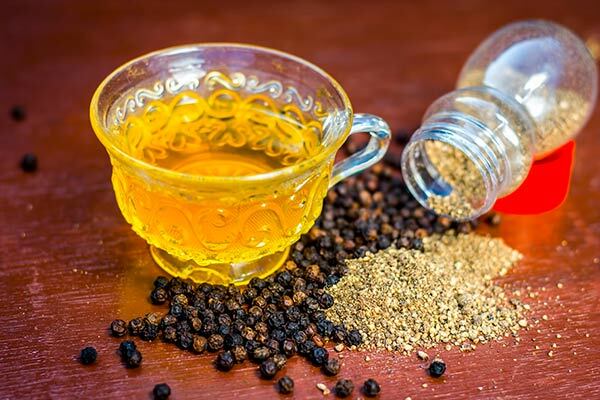 Black pepper contains piperine, which is responsible for the medicinal properties. Piperine is said to cure colds, coughs and sore throats because it improves your respiratory system. All you need to do is mix ½ teaspoon freshly ground black pepper in lukewarm water. Drink it every few hours! If this sounds gross, you can try adding pepper to your food. Another herb with plenty of medicinal properties is ginger. 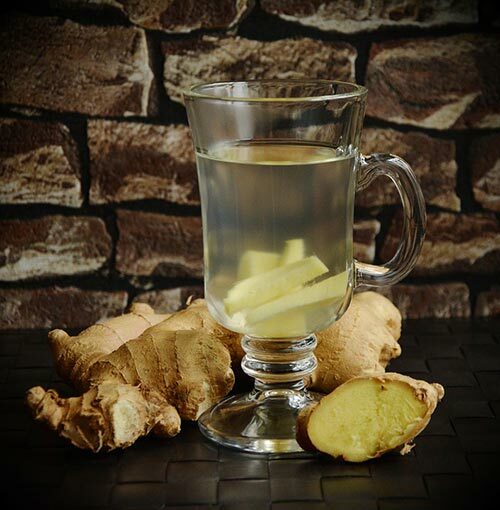 Ginger helps to remove the chills and keep your body temperature warm. People used ginger to treat the common cold because it is antiviral, an expectorant, and has anti-inflammatory properties. What’s not to love? To reap the benefits and cure your cold, try a few of these methods for consuming ginger. Drink ginger tea up to three times per day. You can buy ginger tea bags in the store or make it at home. To make it at home, take two cups of boiling water and add one tablespoon of chopped ginger. Cover and let simmer for ten minutes. Strain and add some lemon or honey. People claim that onions can be used to treat the common cold. If you inhale the essential oil of onions, it will supposedly ease colds. There are several ways to use onions to treat a cold. Make homemade onion syrup by slicing two or three onions. Put one slice in a mason jar and add raw honey. Cover the onion and do it again until your jar is full. Cover and let soak for 12 to 15 hours. Drain out the liquid into another container and take a spoonful several times per day. Put onions in your socks. Yes, that’s uncomfortable, but people claim that the onions will pull out the toxins from your body. 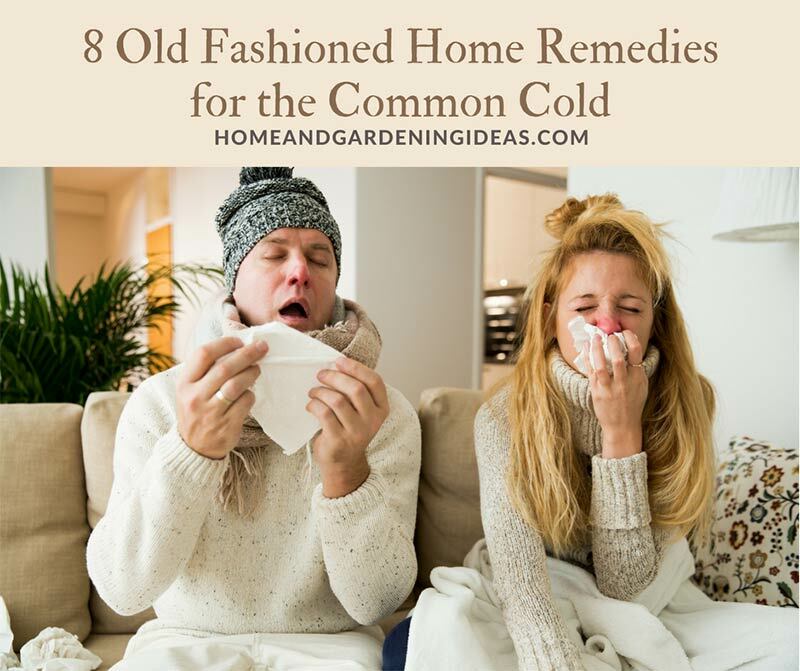 Home remedies often do the job and kick a cold faster than you might think. Just because you didn’t get the cure from a doctor doesn’t mean it is ineffective! It is important to remember that, if your cold hasn’t passed in two weeks, you should head to a medical professional. Something could be wrong, and it is always better to be safe than sorry. Remember to take these remedies as soon as you feel the symptoms beginning.